Find all Game Code stores and prices to download and play Kingdom Come Deliverance at the best price. Save time and money: Compare CD Key Stores. Activate Kingdom Come Deliverance CD Key on the publisher website to download the game and play in multiplayer. You can participate to these tests by adding comments about your digital download purchase in the store review page. Enjoy the best deals for Kingdom Come Deliverance CD Key with Allkeyshop.com! Kingdom Come: Deliverance is an action, adventure, role-playing video game developed and published by Warhorse Studios. The year is 1403 in the Kingdom of Bohemia located in the Czech Republic. The king died of old age and his heir is not experienced enough and seems to be lacking to take over the throne. The king’s brother sees this as an opportunity to kidnap him, pillage the lands and grab the chance for his own advancement. 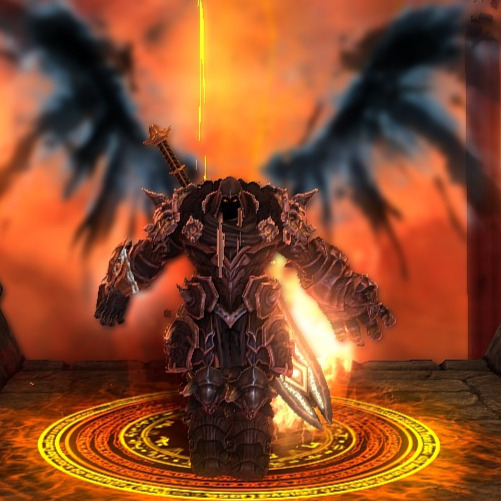 The game offers a classless role-playing game system set in an open world. This gives the chance to players to customize the skills and roles of their chosen character which could be anything from a thief, bard, or warrior or perhaps something in between. Players will also get to customize every single feature of their playable character from facial features to skin color to the clothes they wear. A ‘Needs System’ is also available in the game where the characters would need to sleep or eat in order to perform well in the game. The game’s combat relies on a physics system that uses inverse kinematics in order to determine the reactions on both combatants. Also, quests are open-ended so it could be played multiple times with different results. Kingdom Come: Deliverance is an adventure that will surely keep you glued to your seats! There are 58 offers ranging from 17.68€ to 45.53€. STEAM CD KEY : Use the Steam Key Code on Steam Platform to download and play Kingdom Come Deliverance. You must login to your Steam Account or create one for free. Download the (Steam Client HERE). Then once you login, click Add a Game (located in the bottom Left corner) -> Activate a Product on Steam. There type in your CD Key and the game will be activated and added to your Steam account game library. STEAM EMEA KEY : What is Steam Key EMEA signification? EMEA means for Europe, Middle East and Africa and several other countries. Please read the store description about country and language restrictions to know which are concerned. Use the key to Download and play Kingdom Come Deliverance on Steam. EUROPEAN STEAM GIFT : It’s a steam gift for Europe which requires an European IP address to activate and to play Kingdom Come Deliverance on Steam. Read carefully the store description about region and language restrictions. STEAM GIFT : A Steam gift is a one-time transfer you receive. You activate and install Kingdom Come Deliverance to play on Steam, it is a non-refundable game that stays in your Steam games collection. Please read the store description about any language or region restrictions. GOG.COM CD KEY : You need to register on Gog.com, then use the GOG Key to download and activate your game to play Kingdom Come Deliverance. I love this game, 20 hours and i don’t finish story yet! It’s an awesome game. I have already been playing it and it’s worth it! You should buy it! A very well crafted realistic and original medieval rpg. A must buy for all rpg lovers. Great graphic and great gameplay. Kingdom Come Deliverance, lets get medieval! looks pretty cool, hack slash and quest your way through.